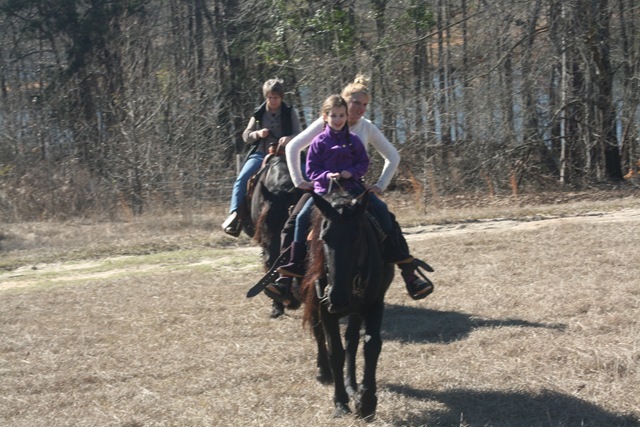 On Friday, January 18th, Ashtyn, mom and I headed out to Graystone Ranch for a horse riding adventure. 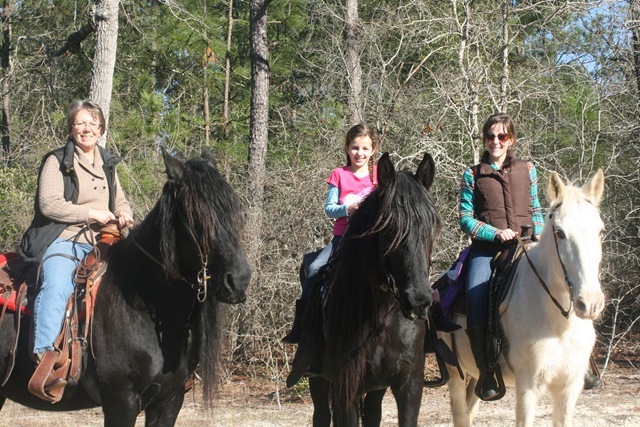 For Ashtyn’s ninth birthday this year, her Mimi and Papa gave her the wonderfully unique gift of a 2 hour trail ride (thanks to a great coupon we found!). And, it couldn’t be complete unless all 3 of us made a day of it of course. 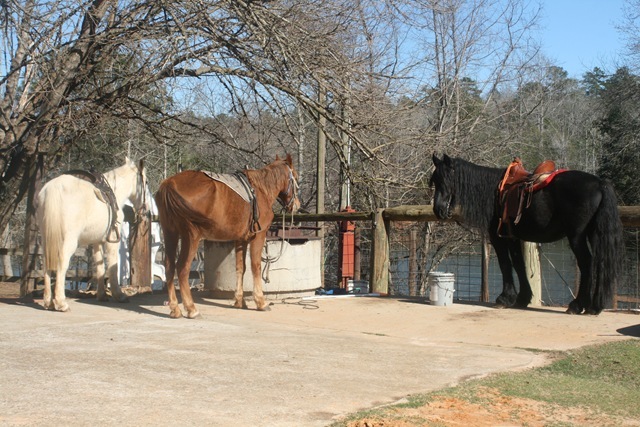 A sweet friend came over to watch the little ones and we enjoyed lunch together and headed out to the Georgia country to a very unique (to say the least) family-owned Ranch and animal rescue property. 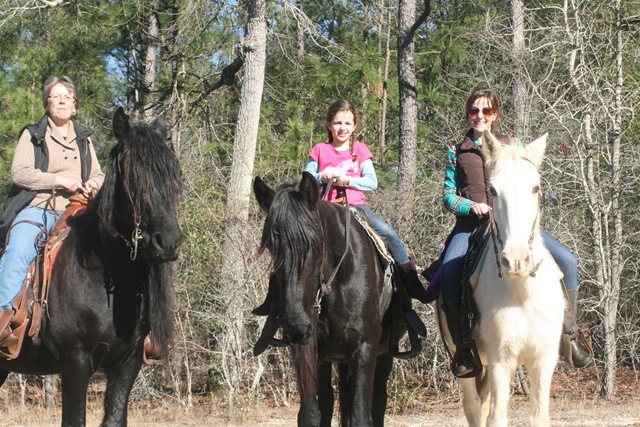 If you are looking for a very “raw”, “natural” horseback-riding adventure, this is the place 🙂 This has been one of Ashtyn’s childhood dreams and Mom and I brushed up on our old horse-riding skills from our youth and ventured off together hitting the trails with our youthful guides. So much fun was had and it was a beautiful memory together. 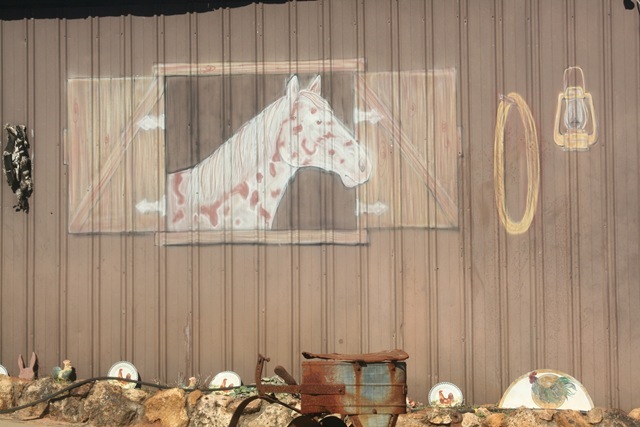 All of the horses were rescued animals and 100% of the money we paid to ride, goes into the care of the animals at the Ranch. 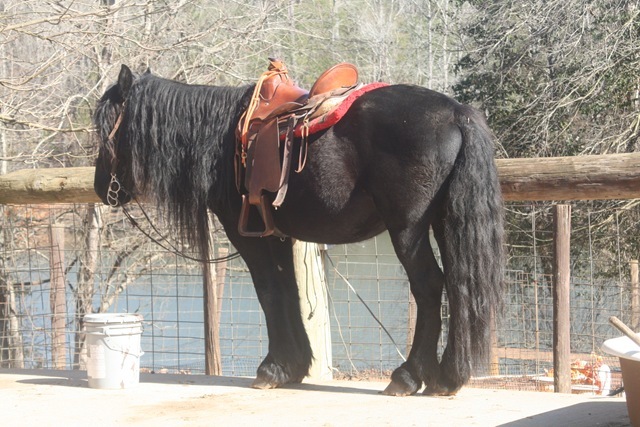 Mom got the largest horse of all – a black stallion worth $250 grand! She had to use a picnic table to hoist her petite self up onto this big guy, but she did it! 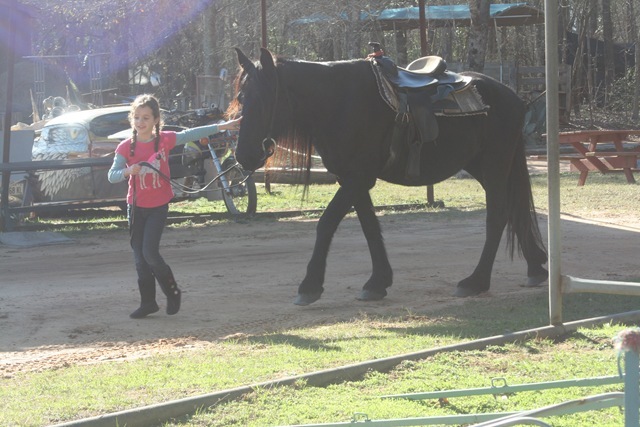 Because of Ashtyn’s “small for her age” size, they didn’t have a saddle with stirrups short enough for her legs, so she had to co-ride until she felt comfortable. After about 10 minutes, she was on her own without help. The girls told us she was the most calm, confident 9 year old they have ever seen ride. And this was her first time! 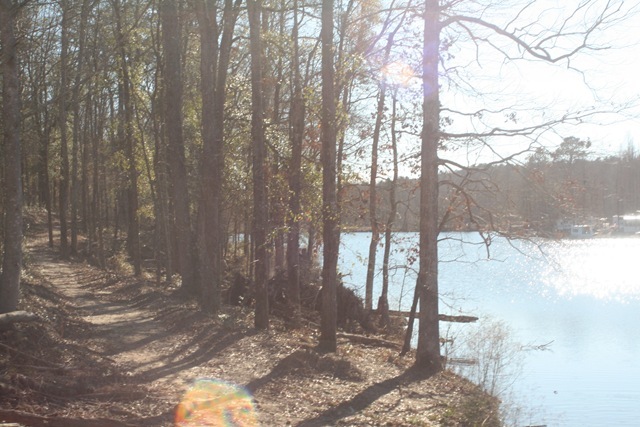 And the weather was perfect – brisk and sunny. These two pictures of Ash leading her horse back to the stable are just precious to me. 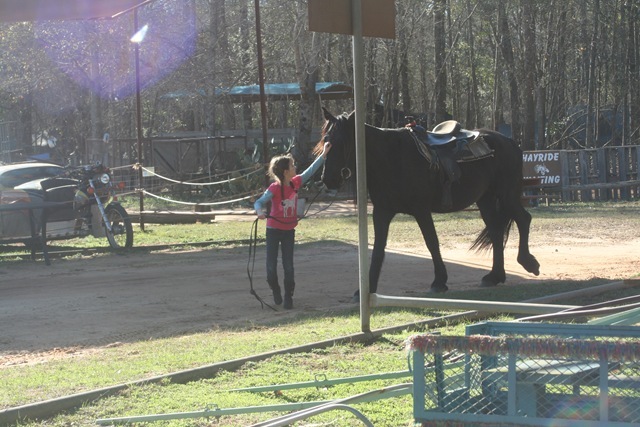 She really bonded with her horse and it was so sweet to watch. 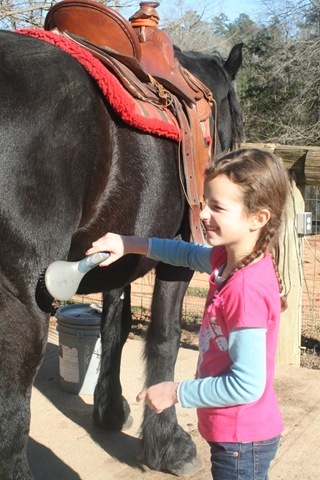 After our ride, we got to brush the horses for a bit. 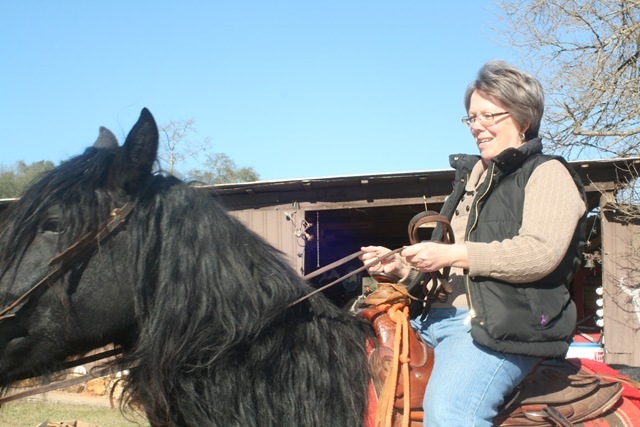 What a fun time, I love horses and miss horseback riding from when I worked at a stable, I hope to be able to do the same with Emma in the future.